With the abundance of snow over the weekend, you most likely spent a good deal of time scooping your sidewalks and driveways, and perhaps even had to dig your car out before work this morning. With nearly 12 inches of snow falling in Loveland, and 9+ inches in Fort Collins, Northern Colorado got it’s first real taste of late winter snow this season. With more snow in the forecast for later this week, make sure to call Advanced Landscaping and Sprinklers for our snow removal services in CO.
With our service, you can have your business’ parking lot cleared and access to your store or clinic uncovered in no time. 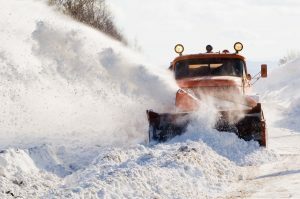 We work with all types of businesses, non-profits, and homeowners associations to clear your streets and avenues of snow when Mother Nature decides to dump a hefty amount on the Front Range. While a snow blower and a shovel can go along way in clearing a path to your business, we can make sure there’s adequate parking for your customers. We take great care not to damage any signs, lamp posts, or parking barricades on your property, and will push the snow to the desired spot in your lot. Spring will soon arrive, but that doesn’t mean that the snow will stop along the Front Range. With the potential for snowfall well into March, be sure to keep Advanced Landscaping and Sprinklers in mind for snow removal services in CO. We guarantee that you’ll be satisfied with our service and won’t worry when the weather turns cold and the first flakes begin to fall.